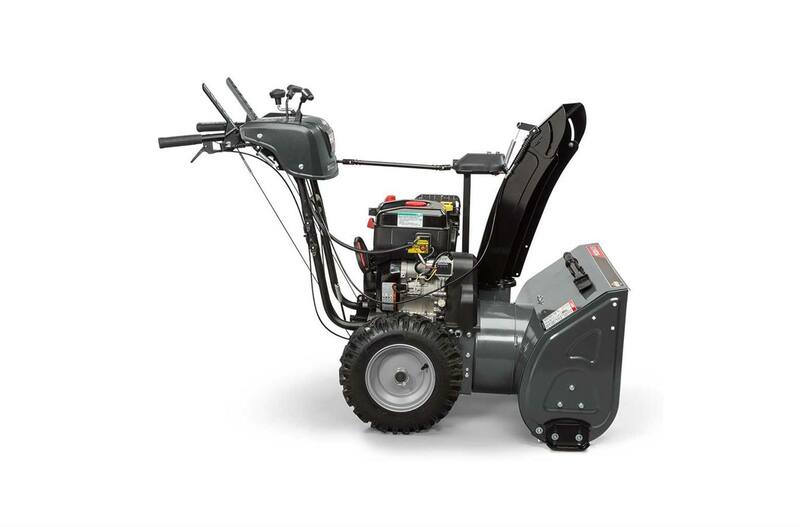 Tackling moderate to heavy snow on medium driveways and pathways can be a breeze with a snow blower equipped with a powerful Briggs & Stratton 1450 Professional Series™ Engine, dual-trigger steering for making easy turns and heated hand grips to keep hands warmer on cold winter days. 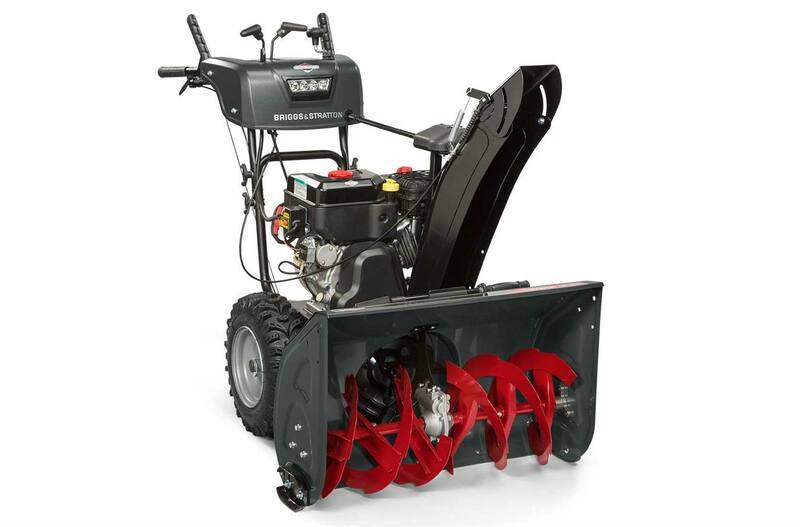 Briggs & Stratton 1450 Professional Series™ Engine: Specially designed to start strong (down to -20°F***) and power through in the toughest winter conditions, this engine offers uncompromised power and displacement to help you get the job done. Plus, oversized controls provide mitten-friendly operation. Push Button Electric Start: Push button electric starting makes for quick and easy starts down to -20°F***. Effortless Turns: Dual-Trigger Steering makes tight turns effortless. Simply pull a trigger to release the left or right wheel to help make tight turns. 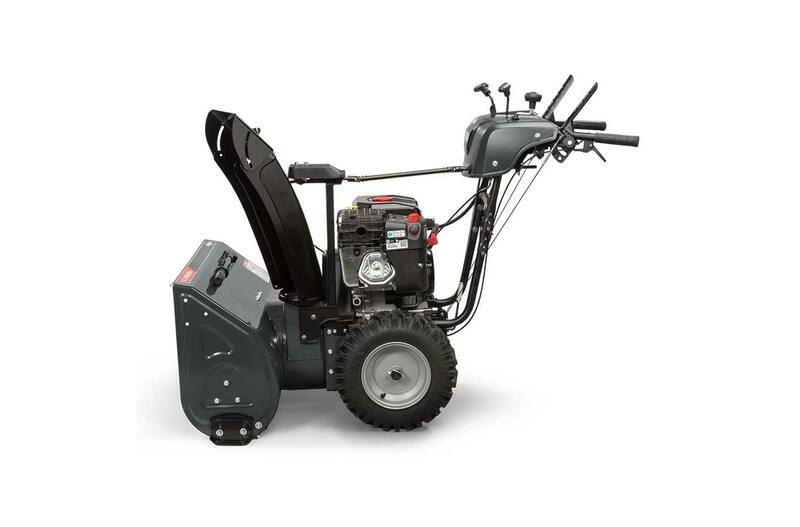 Heated Hand Grips: Heated hand grips with an on/off switch keep your hands warmer while clearing away the cold snow. LED Headlight: Integrated LED headlight provides better visibility in low light. 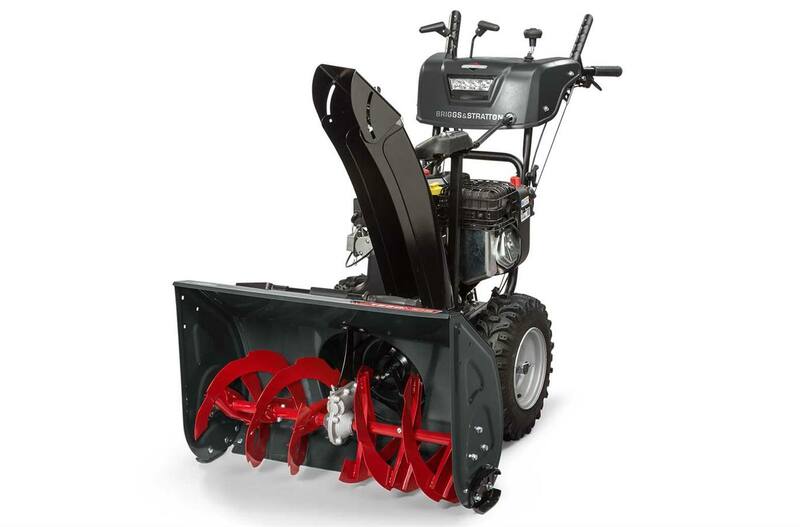 Superior Traction: Designed for snow applications, large 16" x 5" tires will provide you with superior traction. 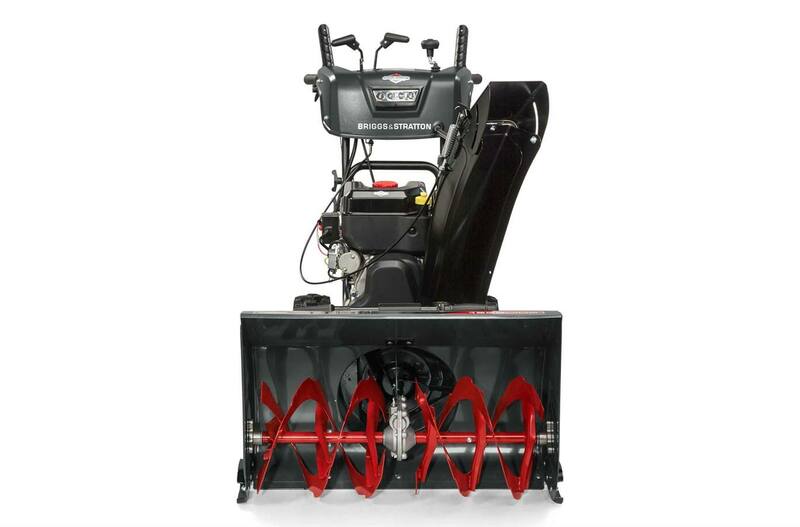 Free Hand™ Control: Free Hand™ Control offers one-handed operation of the snow blower, allowing you a free hand to rotate the chute, adjust the deflector or change the speed. *All power levels are stated ft.-lbs. 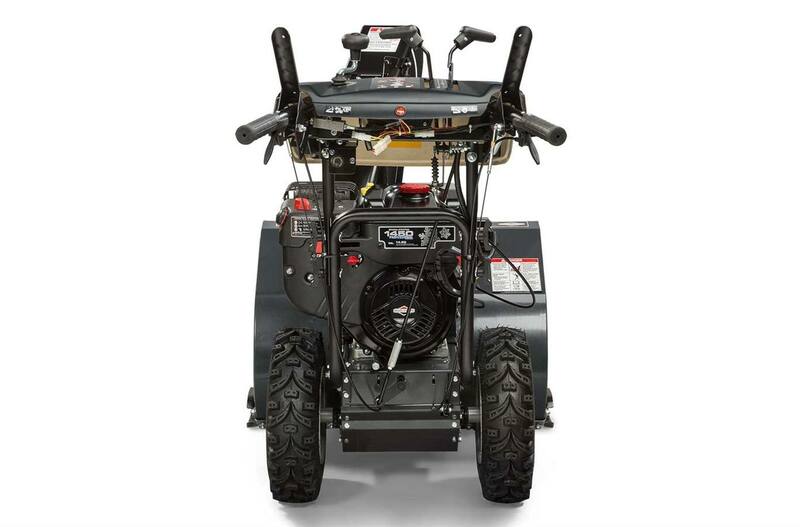 gross torque at 2600 RPM per SAE J1940 as rated by Briggs & Stratton **Capacity and throwing distances can be greatly affected by conditions. ***See Operator's Manual for complete warranty details.